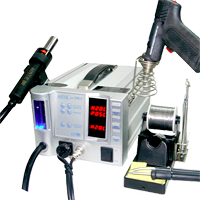 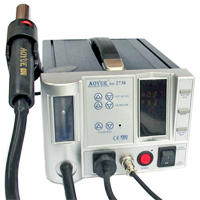 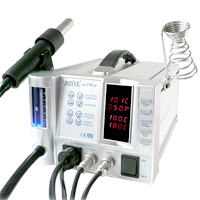 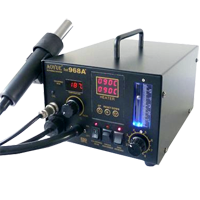 Soldering station Aoyue Int2738 is universal soldering station adapted to make lead-free solder containing soldering iron with smoke absorber and hot air. 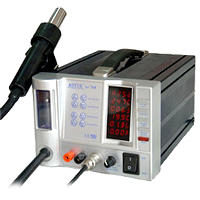 Digitally controlled using buttons on the display gives current operating parameters. 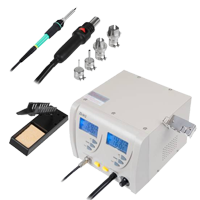 The device meets the RoHS Directive standards.